Outsourced IT is an affordable solution where the person who can best fulfill your needs is there when you need them. Any business owner should be mindful of the various costs associated with IT services as they are a critically important component of managing a competitive business. As a result, business owners may be facing a challenging decision over whether or not to keep these services in-house or outsource them to an experienced business IT support firm. Every successful company across the world is built on finely tuned systems and a foundation of best practices. This means that the business owner has carefully analyzed all of the potential options and determined the one that is most appropriate for the company at that time. Few systems are as important in calibrating the finely tuned systems and best practices of a company, as having the right staffing and IT systems in place. Without appropriate IT systems, the business runs the risk of being impacted by slow response times, expensive emergencies, and challenges in workflows. 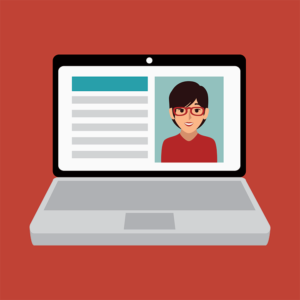 Timeliness, experience, and costs are all critical factors when it comes to determining whether or not it makes sense to hire in-house IT support versus outsourced. What follows are some thoughts on the pros and cons of each approach, as well as what to consider when outsourcing IT staffing. While some business owners will start off with in-house IT staffing, it is not always the right solution as the business evolves. Since technology moves at such a fast pace and management of IT concerns is important for how employees do their job, having an in-house professional might not work over the long run. However, it is important to note that, there are pros and cons to each staffing type. Starting off as a small business, it might have initially made sense to have the IT department housed within the office. The staff may have just been one or two individuals and the solution probably worked fine for a while. Any in-house professional normally has a solid awareness about the types of day to day needs that their business has in order to operate and can therefore generate solutions on an ongoing basis. 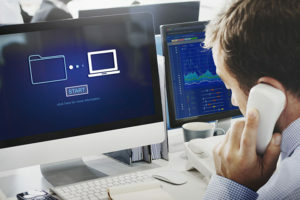 They will also likely have a solid understanding of how other employees and management are using their computers as well as the internal network. Outsourcing IT has been made possible with the cloud. There are some additional positive aspects associated with having IT staffing in-house. First, in-house IT staff members usually work at a slower but a more deliberate pace. This careful pace means that they can spend as much time as necessary to address any single problem. This steady approach may lead to a comprehensive evaluation of the problem as well as implementation of an appropriate solution. This slower pace also enables an in-house IT staff member to research the problem and to create documentation of the all important processes implemented along the way to arrive at a final decision. With the right person and people on staff, in-house IT staffing can be extremely beneficial. Furthermore, in-house IT support also has the benefit of allowing an individual to respond immediately to a technological issue that has emerged. When a person is onsite, that individual can jump in to assist the problem sooner rather than later, minimizing costly downtime. However, the prospect of keeping in-house IT staffing on hand at all times will not work for every small business. The best way to determine whether or not a current solution is working for your company is to carefully analyze how IT requests are unfolding in real time. How is the professional onsite able to respond to current demands? What challenges have there been regarding scheduling appointments, getting things fixed promptly, or having a system that holistically meets the needs of the business? Conducting an audit is a valuable tool to use to reveal how well the IT department is working with your current structure. As with any decision inside a company, there are pros and cons to this method. There are three major disadvantages to having in-house IT staffing. First, a startup organization or one that typically has a smaller IT department consisting of even just one or two people, could quickly lead to a high volume of priority issues that must be addressed. IT issues and tasks may often be classified as time-sensitive by the relevant department heads or the business owner, which quickly leads to back-ups for the small IT department. This overflow of work can lead to necessary research and documentation falling off the priority list because the limited IT team is constantly putting out fires. In the event that a company can only afford one IT person in-house, that individual will have the only access to critical data. Outsourcing your IT department can mean lower expenses and less HR hassle than risking hiring an IT person. If the IT professional ends up needing to take a vacation or an extended leave of absence, there’s a good chance that no one else in the office will be aware of how to make necessary fixes. This means that the business could experience expensive downtime and that the employee returning from vacation could have a massive pile of IT requests waiting for him on his return, resulting in even more backups and possible downtime. It is also possible that any attempts to fix problems in the short run while the IT professional was away actually made things worse. The negative outcomes from such a situation could be far-reaching and significant. In addition, when an overburdened IT employee does not have the time to properly document their IT support efforts, it will make things more difficult if that employee takes a sick day or suddenly leaves the company. Even more disturbing, the company can be put at risk if their IT employee becomes malicious towards the organization, or in the event that they have to suddenly depart from their job. The third reason that in-house IT staffing may not be the right solution for many businesses is that it can be extremely expensive. As described above, one employee alone can rarely manage all of the complex factors in an IT system. In the event that a company requires a comprehensive range of expertise, the business owner may be forced to hire 4 or 5 separate people to fill those knowledge gaps. There are significant expenses associated with every full time employee dedicated only to IT, and this can minimize business growth. For a comprehensive solution that allows for some flexibility, outsourced IT support may be the right response. There are four major benefits to outsourced IT staffing and a handful of downsides as well. First, an outsourced IT provider will have a clear interest in serving the client beyond their expectations since they are not an employee. An outsourced IT staffing service has the responsibility and the desire to earn the client’s business every single day, year after year. This means that they will often perform at or above expectations. The second reason why outsourced IT staffing can make sense is because the company will get the benefit of constant support throughout the year.There is no downtime as there would be if an in-house person took a vacation day. There is also very little downtime on the nights or weekends as the majority of IT providers will have a comprehensive support system including a full-time emergency contact. Be sure to weigh your organization’s specific pros and cons when considering outsourced IT. 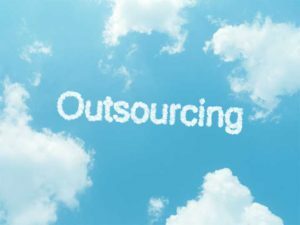 The third reason that outsourced IT staffing makes sense for so many businesses is that the majority of these businesses have been active for quite some time and have valuable expertise. This means they have likely handled a wide range of IT issues in the past with a variety of different businesses and with a proven response timeframe. The right employee or outsourced company can make a big difference when it comes to addressing the needs of your business. For this reason, it is just as important to select the right person or company as it is to make the correct decision regarding in-house staffing versus outsourcing. An outsourced professional may be able to assist with thinking through this solution and giving a strategic implementation option sooner rather than later. 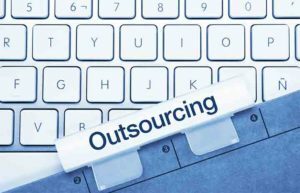 The final reason that working with an outsourced IT staffing company works well for business owners is because it can be much less expensive than the costs associated with hiring full time staff. An outsourced IT team gives the company affordable access to a broad range of various experts who can assist with the majority of problems and needs in a timely manner. However, as with all things, there are some downsides to working with an outsourced company. For example, there is only an IT representative on the site of the business a certain percentage of the time. If there is an emergency, there could be a delay while waiting for the representative to arrive onsite leading to downtime. Additionally, the majority of the service issues at a business will be handled remotely by a dedicated representative. Some companies won’t find this to be a problem, but other business owners prefer not to work exclusively with remote support. As a business owner, the choice of whether to outsource IT services is not always going to be an easy one. It takes careful consideration with the right team along with a comprehensive audit of your current business structure to determine what’s going to work best for your company. For assistance in deciding whether to outsource your IT services or any other IT issues, please contact us here at Network Depot.